Partially unwrapped but otherwise as-delivered prototype. Inside, the cards and rules were in individual baggies. The rules were printed on glossy paper and folded very compactly to fit in the baggie. 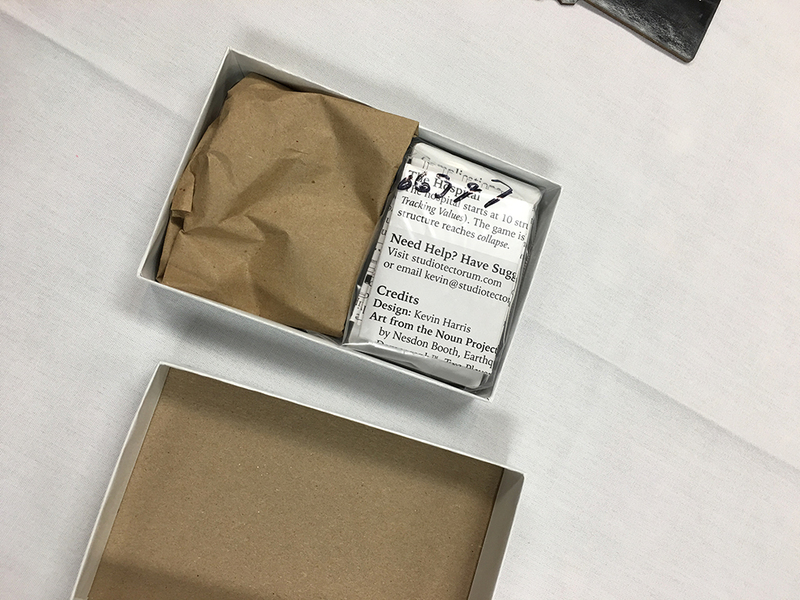 The game clips were in their own baggie unfortunately wrapped in the brown paper, which I had initially assumed was just for padding. Luckily, I didn't toss the paper along with the shrink wrap. 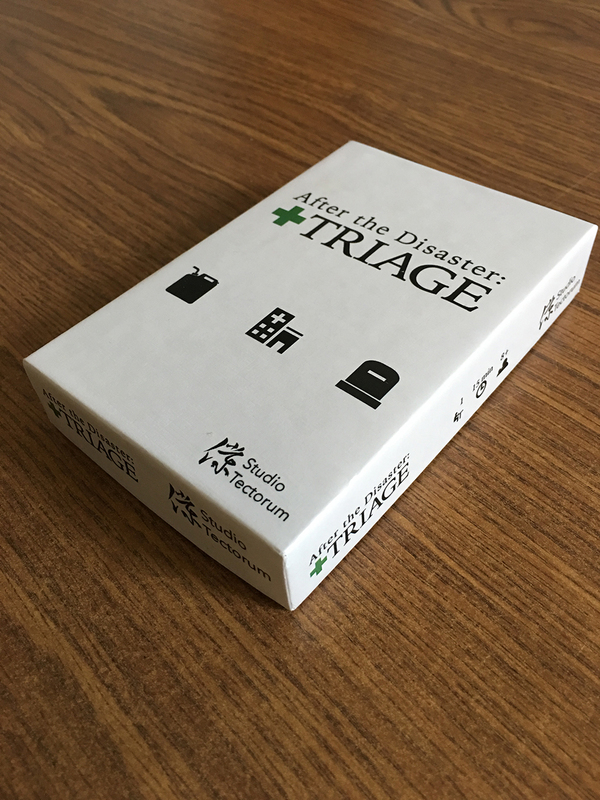 The box is a small pro box, and it's held up as well as I've expected after Protospiel and a some subsequent demos. The cover feels smoother and more like glossy paper than the large-print-run games in my collection. Note that this is with the linen texture and UV coating options. Unwrapped box after a few games. I'm really happy with how the cards came out. 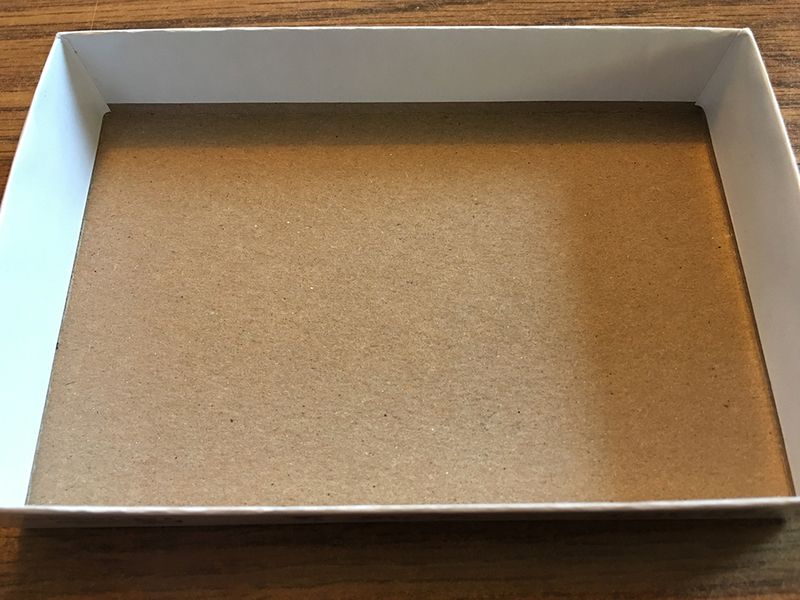 As advertised, the cards stock is comparable to Magic: the Gathering cards, and the linen texture and UV coating feel nicer than the blank card stock. The linen texture is not as good as the USPCC's "air-cushion" finish on Bicycle playing cards, and I found my cards a bit sticky and hard to shuffle as a result. 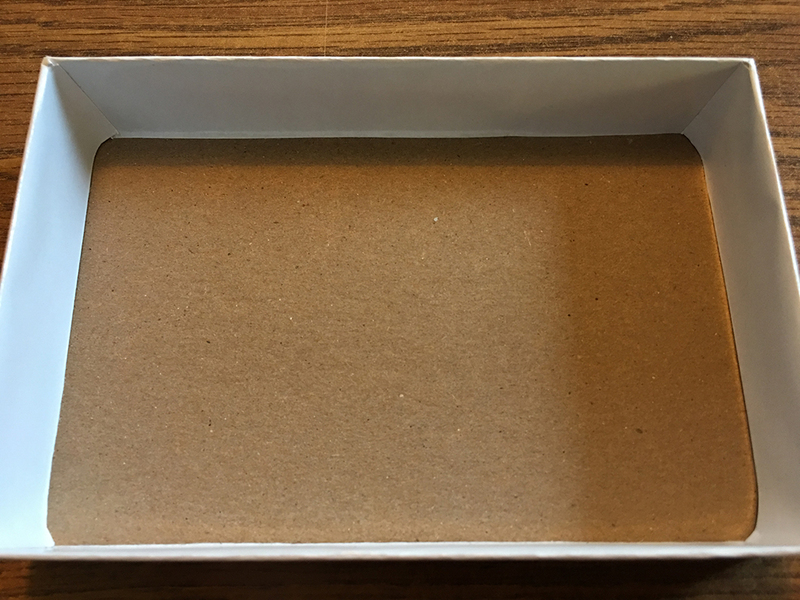 The additional cost for the linen texture and UV coating are worth upgrading to over using the blank card stock despite this, though. 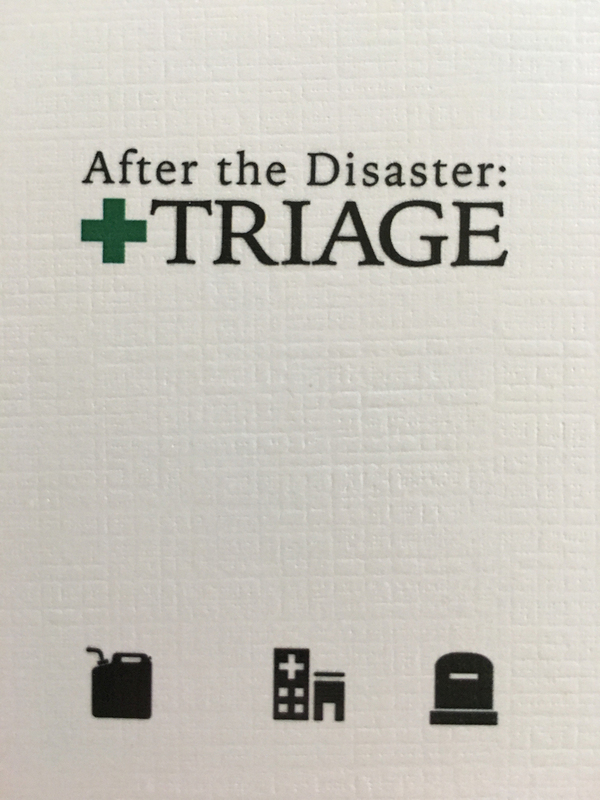 Close-up of a card back. Note the linen texture; these also have the UV coating. 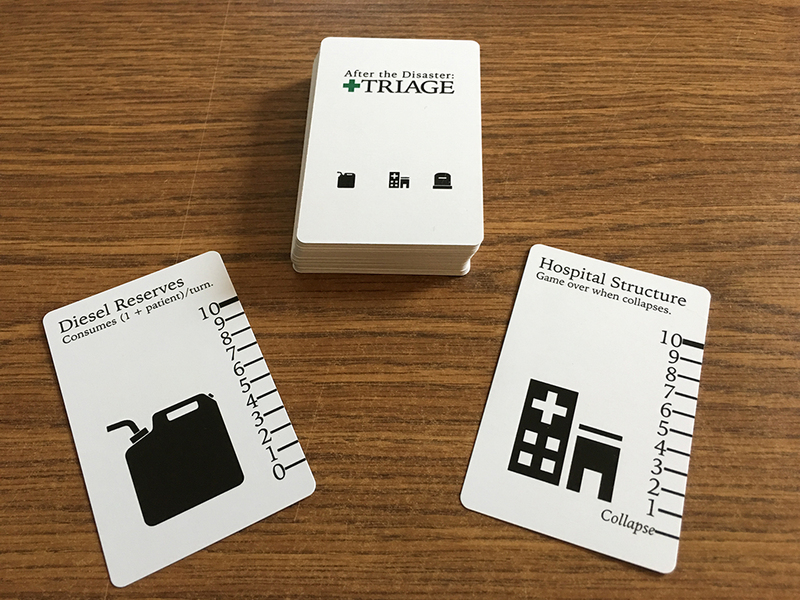 After the Disaster: Triage uses plastic clips to track values on cards. These are the clips recently discussed on The Game Crafter's recent podcast. 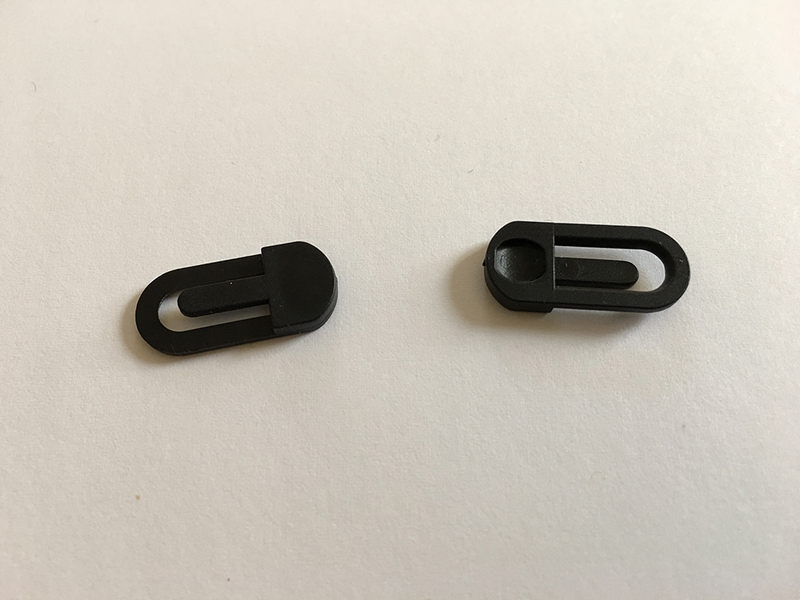 I was pleased to see that they are are smooth and work well on the cards—they did not have any of the texturing seen on the item photos on The Game Crafter's site. 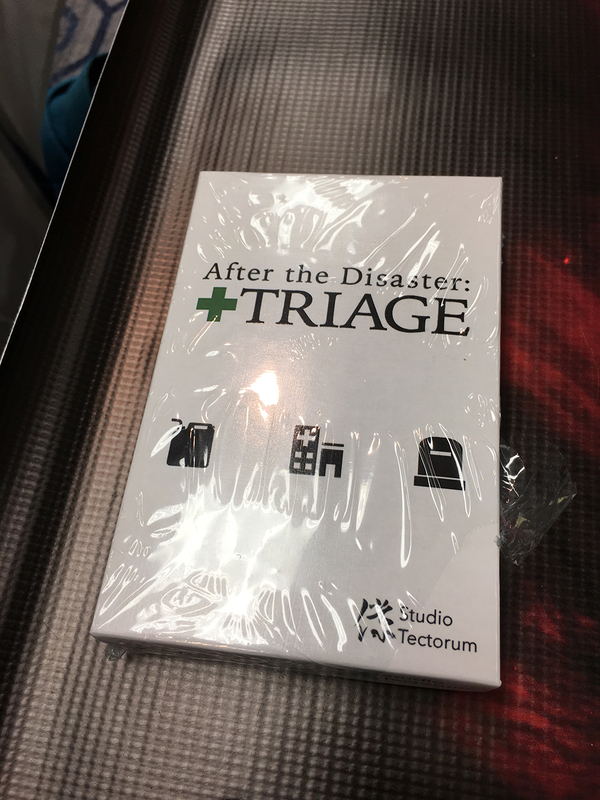 Overall, I'm happy with how the game turned out, and I intend to start making After the Disaster: Triage and other games available on The Game Crafter later in November.